RR by Webbie: Lantern | Buoy. 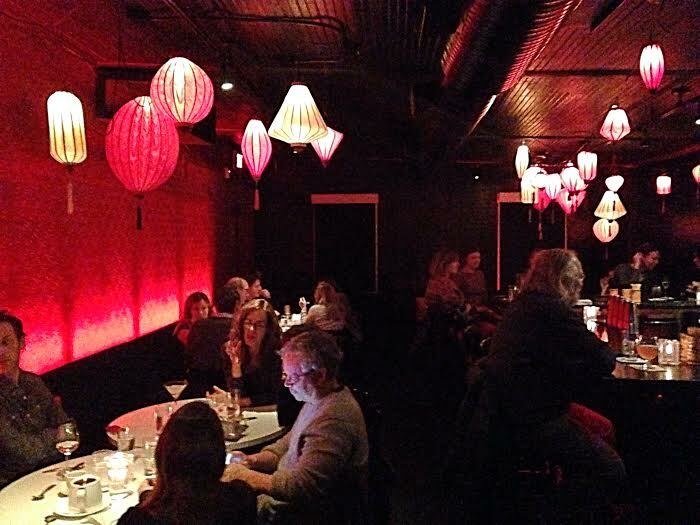 To all of you Buoy followers in Chapel Hill, NC (and the Triangle area who can easily commute, except for the Dukies – no thanks), this RR highlights one of the best places in town: Lantern. If you haven’t eaten here, you’ve got to try it. Similar to Grit and Grace in Pittsburgh, Lantern marries Asian flavors and southern ingredients (more specifically, North Carolina ingredients). Another important aspect is its focus on farm-to-table. And Lantern doesn’t just do that, it excels at it. “Chef-owner Andrea Reusing was named one of ‘15 Green Chefs’ on Grist’s international list” and is a 2011 James Beard award winner for Best Chef in the Southeast. Gourmet Magazine has called Lantern one of the ‘best farm-to-table restaurants’ and one of ‘America’s Top 50 Restaurants.’ See it all for yourself on the website here. The menu is somewhat seasonal and partly depends on what best ingredients Lantern can obtain from its local farms and fisheries, but regardless of the time of the year it’s always fresh and delicious. This is why my parents are die-hard regulars. They say everything they have tried has been good, but I’ve noticed they really like the fish dishes. FYI, don’t get in GB’s way when he’s trying to get Lantern’s crispy whole NC flounder because he loves it (take “whole” literally; it is the entire fish – head, bones, and all). 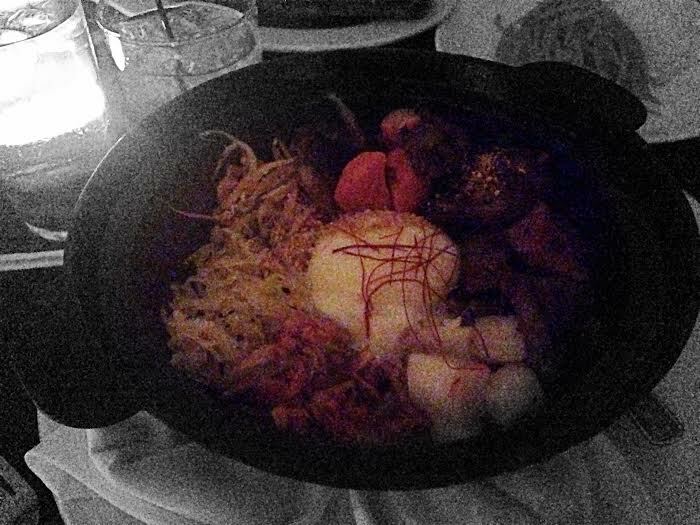 In addition to the fish, I am a big fan of the steak Bi Bim Bop. Before Lantern, I only had Bi Bim Bop as street fare from food trucks. Lantern’s was so fresh and the steak was very nicely seasoned. Most importantly, the hot pepper sauce was incredibly tasty and very, very spicy (as it should be). I am also a big fan of the pork and chive dumplings and the spring rolls. Oh, and did I mention the wine and cocktail selection is great too!? 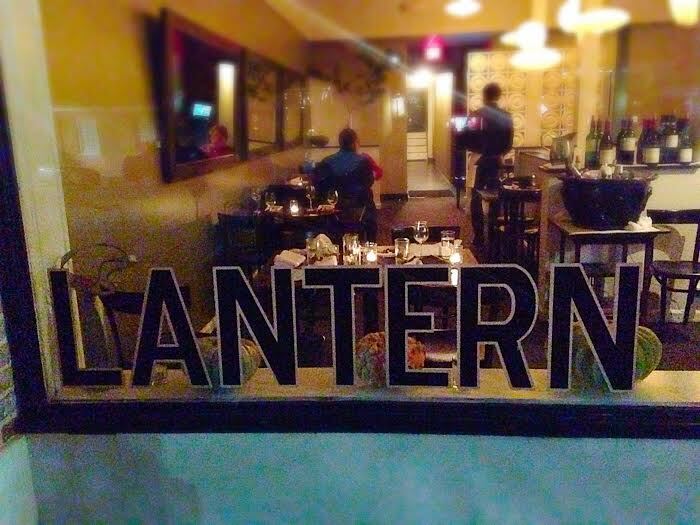 In addition to all of the accolades and the delicious, fresh food, Lantern also has a great vibe and atmosphere. The main dining room is on the smaller side but finds a sweet spot between not too loud and not too quiet. It is great for family occasions or romantic dates. The back bar area (the “Red Bar,” as I like to call it) is very cool. It is a great place to have one or two drinks before dinner or can be great for a dinner party of less than four if you’re interested in eating dinner there. 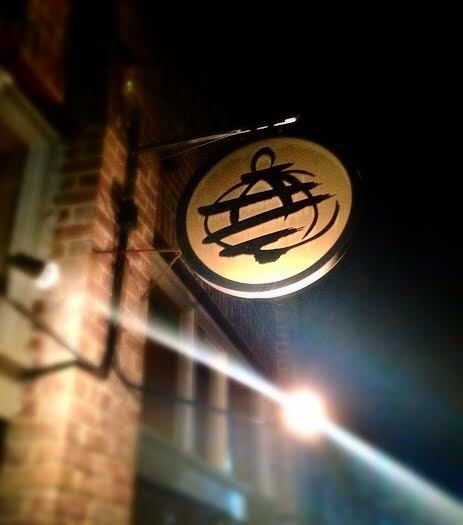 All in all, Lantern is one of the best places to eat in the entire state of North Carolina and even the United States. If you’re in town, it’s a great way to put an exclamation on your visit. If you live in the area, this is the kind of place that should be first in your regular restaurant rotation – I know it is for my parents. Webbie’s Wisdom (or lack thereof): Chopstick are optional. Great review of a great restaurant.